Production moved to the St. Louis facility. Although all cars still had the Powerglide transmission, new exterior color options of black, blue, and red were added along with an optional beige interior choice. 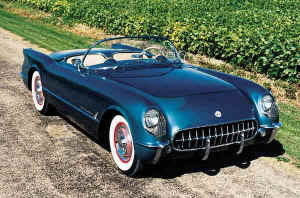 Although the Powerglide transmission was listed as a $178 option, no 1954 Corvette was ever shipped with a manual transmission.